Celia and Oliver live in a house of adventurers, but they hate adventure. Adventures get in the way of watching their favorite tv shows. When a Tibetan mountain climber brings to their father a note from their mother, last seen look for the lost city of Shangri-La, that nasty “a” word happens again. This time, their father bets Sir Edmund, the family’s archnemesis and this book’s arch-villain, that all 3 of them will find the lost cit. If they fail, they will not only get kicked out of their father’s adventure club (yeah! ), but also be forced to work for Sir Edmund every school vacation until they turn 18. Sir Edmund, however, doesn’t want to stop there. He won’t stop until they’re dead. Will Celia and Oliver ever find their mother? Will they ever get to watch tv again. Will they survive? The book was slow to get started and hard to get into. The characters aren’t that well-developed and only semi-believable and likable. The humor, however, is good and the story is unique. Readers who like heavy humor with a little bit of adventure might like this book. EL(4-6), MS. OPTIONAL. Reviewer: Kira M, Youth Services Librarian, WHI Public Library. In 1868, a young Sherlock Holmes, along with his American tutor, track a notorious killer and a group of war-hungry fiends. Young Holmes finds himself in one dangerous situation after another. Lots of action mixed with historical fiction. We also see the beginning of things that bring us to the Sherlock Holmes we know and love. Readers who enjoy historical fiction and mystery will enjoy reading this book. MS, HS. ADVISABLE. Reviewer: Jessica Moody, Library Media Specialist, Olympus Jr. High. 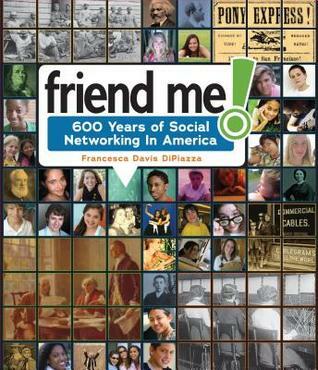 This book sets out to prove that Social Networking has been with us in America before we were even a country. It offers numerous examples such as from Native American history, Puritan Society, and Slavery. 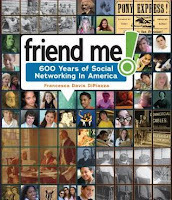 The book addresses how social networking benefited those groups, in the same ways it does today. It also delves into how technology and social networking eventually intertwined –such as through telegraphs. Today’s social networking language was used throughout to describe historical social networks, successfully illustrating the true nature of social networks. I love the descriptions of the shorthand used on the telegraphs –I never realized how close it is to the shorthand used in text messaging today! I think students will love this engaging look at history, and find out that social networking today, while faster, has always been an effective tool of communication and connection. MS, HS– ADVISABLE Reviewer: Stephanie MLS graduate & Author. 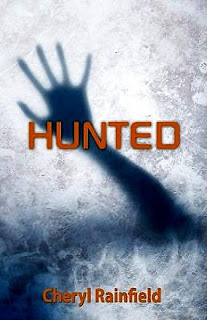 The paranormals are on the run from ParaTroopers and the government. Caitlyn and her mom are constantly on the move. They are the only ones left in their family after Caitlyn's dad was killed when he spoke out for paranormal rights. Her brother was kidnapped by a woman while his dad was being killed. Her mom has since lost her paranormal powers. Caitlyn has now enrolled in high school, and she wants to try to live undetected in this city. She begins to become attached to Alex, a para-pro but a normal. While at school, she finds her brother, Daniel, but he is different.. and working for the government. Caitlyn had to find out who she can trust and fight for para rights without being captured and tortured by the government. I found that this book brought out a strong message about segregation. It tells the story of someone who is judged by something that they cannot control. It shows that you have to fight for causes that are judged unfairly. 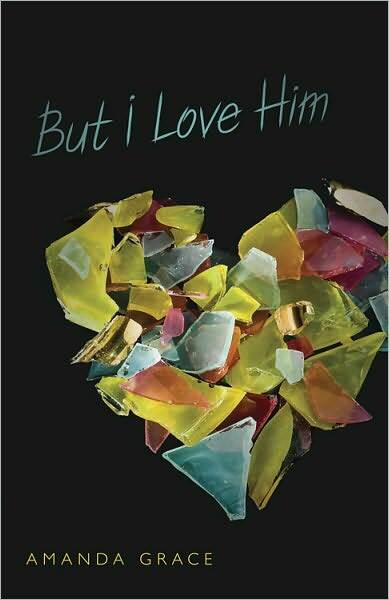 I feel that this book would bring strength to anyone that feels like an outcast or judged against. This book also brings out the fantasy of supernatural powers. 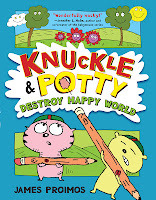 It is a powerful book, fun and is a joy to read. Anne loves Connor. They have had their ups and downs, but nothing can outweigh how much she cares about him. Connor has issues, anger issue. And he promises he won't hurt her, but promises are broken. She has to figure out who she loves more: him or herself? I really liked this book. It brought you into the story and, personally, I can relate to the feeling in the book. I really enjoyed the layout of the book because it wasn't in the usual chronological order. Language is rated R for the extensive use of the “f” word. 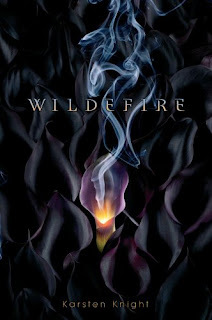 Ashline Wilde’s sophomore year isn’t going quite as planned. It is hard for her to fit in as the only Polynesian girl in school, he boyfriend cheated on her, and her sister, Eve, returned after running away but only making trouble for Ashline. After Eve starts a fight, and a tragedy happens, Ashline transfers to a remote boarding school in the redwoods of California. But her fresh start isn’t going quite as planned. There is a group of gods and goddesses that are being summoned and she one of them. Then Eve returns to haunt her, bearing powers of her own. Now Ash must try to prevent the clash of the gods that is threatening to happen, but she must go up against her sister. I really enjoyed this book! It had just the right balance between romance and action, making it fun to read. 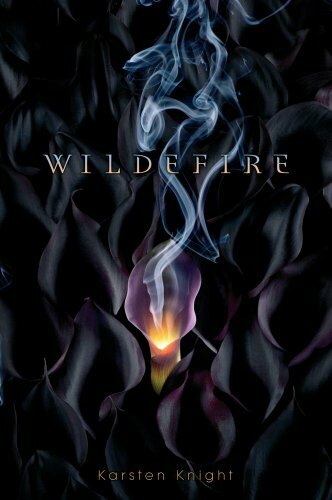 I would recommend this book to my friends that enjoy adventurous and action type books, but also have a soft spot for romance. Kara is determined to get a boyfriend, and soon. Once she realized that like practically everyone has had a boyfriend and she hasn't, she starts the boy project and uses her science project to do it. 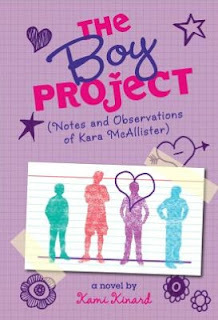 Kara takes notes on all of the boys she can. She finds however, love happens where and when it wants and science can't do anything about it. A super funny story that any middle schooler or even any one who's never been in a relationship can relate to. I especially liked all the visual aids put in the book. The idea of this story seems to be far from fact but in reality it lays not far from it, showing just how crazy love can make us. 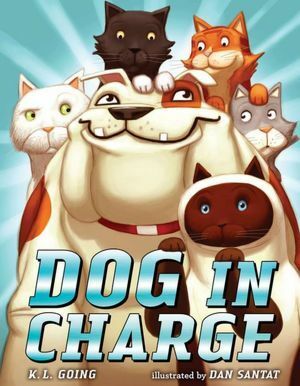 A super cute and funny story that I am looking forward to reading again. 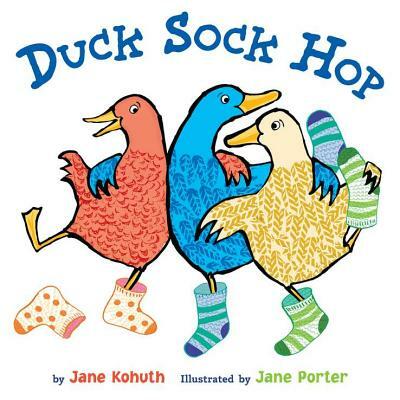 This bright, silly, and creative rhythmical story is all about ducks getting ready for a sock hop. Once they get there they wear out the socks from so much dancing. Then it’s time to plan for the next party! I loved this story. 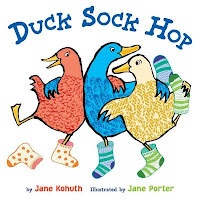 It would be an incredibly fun story time, where children wear their silly socks and learns about the fun times ducks can have when they are dancing in their socks! Pre-K, EL (K-3) -ESSENTIAL Reviewer: Stephanie MLS graduate & Author. Dog is good at obeying commands, and when he is told to watch the cats, Dog takes his duty very seriously. But the cats have their own ideas about what they want to do while their owners are away. 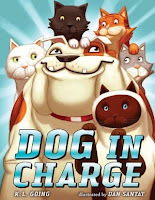 Dog does his best and when it comes down to it, the cats prove that they are true friends to Dog. This fun book is bright and wonderfully illustrated. The story is simple and has a sweet message. Would make for a fun storytime! Pre-K -ADVISABLE Reviewer: Stephanie MLS graduate & Author. 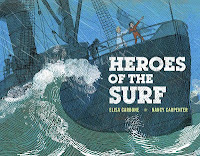 Based on a true story of a steamship crash, this picture book shows what two boys on the ship might have experienced. The boys are enjoying the journey, until the boat hits a storm. The lifeboats are lost and the ship has lost its engine. Will the Heroes of the Surf be able to save them? This story illustrates the early history of the United States Coast Guard, while providing the early reader with a good example of simple historical fiction. The art style was a bit dated for my taste. I think this book would function best as a tie-in, such as having a guest speaker from the Coast Guard, for those schools near coastlines. EL -OPTIONAL Reviewer: Stephanie MLS graduate & Author. 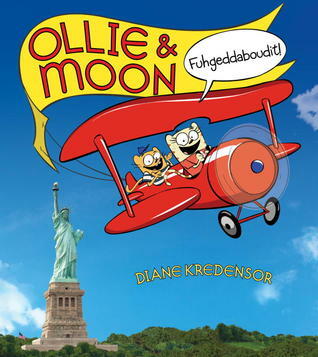 For the first time Moon can’t make Ollie laugh, so she sets out to make it happen. 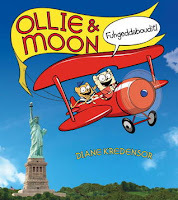 Moon takes Ollie all over New York City –trying everything from mimes, to acting super silly, to taming lions! I loved the combination of vivid bright photographs with cartoon illustrations. The story was silly but still had a plot and some fun adventures. EL -ADVISABLE Reviewer: Stephanie MLS graduate & Author. 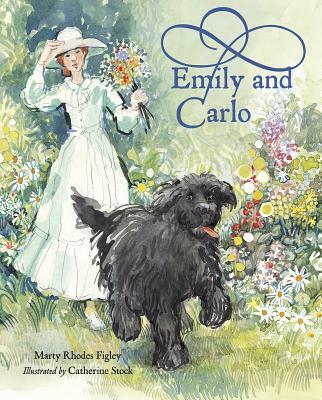 This picture book shows the interactions of poet Emily Dickinson and her much loved dog Carlo. They spent all their time together and Emily mentions him frequently in her writing and poetry. Then he dies. A picture book for students too young to read the poetry of Emily Dickinson, it makes no sense to me. The story was stilted and boring. Then the dog dies, and it’s the end of the story. Did I mention the art was dated and drab? I wouldn’t add this book to my collection. EL –NOT RECOMMENDED Reviewer: Stephanie MLS graduate & Author. Based on a short Disney Pixar film, this picture book features a young boy going to work with his Papa and Grandpa. He find out they have an important job, involving the moon and the stars. I think children will love the top notch illustrations, but the story is kind of confusing and I don’t think would make a great story time. PRE-K, EL –OPTIONAL Reviewer: Stephanie MLS graduate & Author. This book combines quotes from famous Americans with classic folk art. It is large, colorful, and features a variety of fonts to keep things interesting. Although a great example of classic American, from art to quotes, this book will be of little use to students due to its lack of details and focus on presentation. 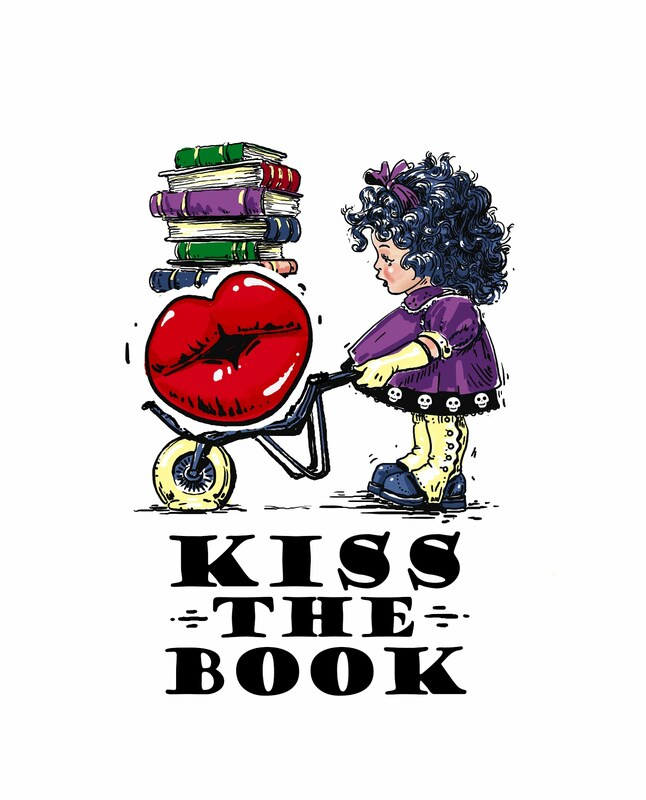 ALL AGES –NOT RECOMMENDED Reviewer: Stephanie MLS graduate & Author. 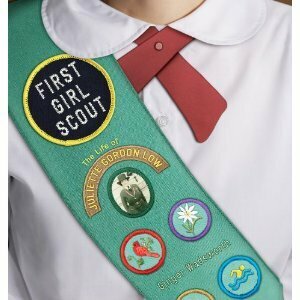 A detailed biography of Juliette “Daisy” Gordon Law, the founder of the Girl Scouts. The book goes through every little thing from her childhood, her family, her education, and her marriage. It follows how she became interested and involved with helping girls to become a part of the something special –an education in the great outdoors, homemaking, and even careers. This is was an incredibly detailed and long biography. I don’t think it’s quite right for elementary students because of this, it’s just too much to wade through (Also because it goes into the concept of extramarital affairs). But older students will find it an interesting read, with tons of pictures and historical detail, that is never dry or boring. 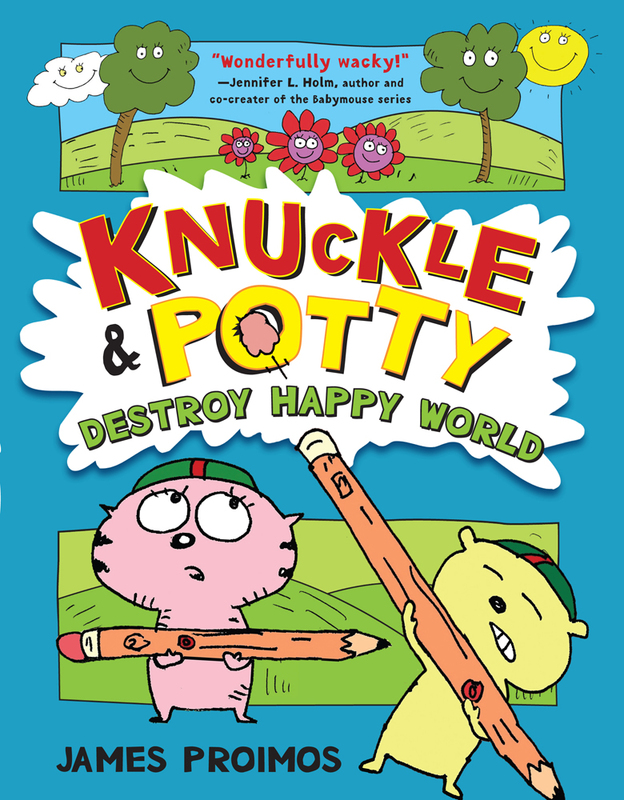 When two cute characters, Knuckles and Potty decide they are tired of being cute, they create a plan to look more tough. They contact the author and the illustrator who created them. When that doesn’t work they try to destroy their new setting, Happy World. But Happy World fights back. This silly and strange story that was almost so nonsensical that it was annoying. I didn’t enjoy the artwork or the plot. Some younger students may find some fun here, some librarian might use it to show the difference between author and illustrator, but I wouldn’t add it to my collection. EL – NOT RECOMMENDED Reviewer: Stephanie MLS graduate & Author. 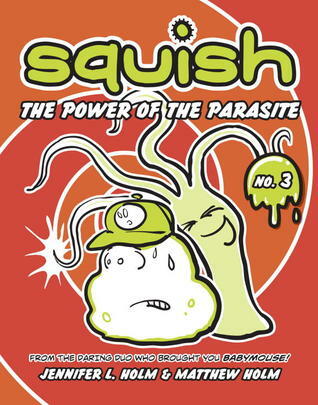 This graphic novel is the continuing adventures of Squish. He is supposed to be learning how to swim. His new friend is causing more trouble than fun. He will have to face his fears. 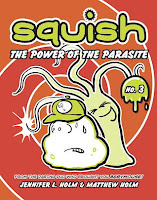 The convoluted story and hijinks makes this story feel like it should be for younger students, but the dialogue (science content) is for older elementary kids. The art is reminiscent of the Sponge Bob cartoons. I thought the story and the art was messy and confusing. If this series is much requested, it can’t hurt to add this one to your collection, but that’s the only way I would purchase. Go for graphic novels with better stories and better art. Elementary – NOT RECOMMENDED Reviewer: Stephanie MLS graduate & Author. Davies, Stephen Outlaw 304 pgs. Clarion Books, 2011. $12.40. Jake spends his days at boarding school getting into mischief. Once he joins his family in Africa, the stakes are much higher. When Jake and his sister are kidnapped, his technology skills and ingenuity are put to the test. Is Yakuuba Sor, the outlaw that captured them, as bad as he seems? This incredibly fast paced book is full of adventure and some interesting lessons about corruption, politics, and of course, technology. Both books I have reviewed by this author (See Hacking Timbuktu) have featured main characters that really intelligent and brave. I think students will really enjoy this book and be inspired to learn more technology tools along the way. MS, HS – ADVISABLE Reviewer: Stephanie MLS graduate & Author. Walker, Sally M., Blizzard of Glass: The Halifax of 1917. Henry Holt and Company, 2011. Pgs. 145. INFORMATION. In 1917, during World War One, two ships collide in Hallifax Harbor. One was carrying ammunition. The resulting disaster was the largest man-made explosion known to man. It flattened large area of Hallifax and killed nearly two thousand people. This book covers their stories. Full of primary sources and photo. It has a good layout and index. Readers in eighth grade or higher who need to book about one of the World Wars or like military history will enjoy reading this book. MS, HS. ADVISABLE. Reviewer: Jessica Moody, Library Media Specialist, Olympus Jr. High. When Helen Keller was two years old, she lost her hearing and her sight. As she grew up, she learned to ride horses and foxtrot. Who made that all possible? Annie Sullivan, a blind teacher who sympathized with Helen, was able to figure out a way for her to communicate with the world and have it communicate back. 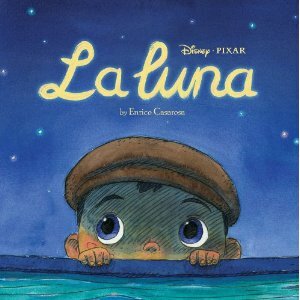 A good biography for graphic novel fans. The illustrations are good and help to shed light on Helen’s problems. The text is easy to understand, but covers all the necessary information in a narrative format. Readers who need to read a biography or who are interested in Helen Keller will enjoy reading this book. EL (4-6), MS. ADVISABLE. Reviewer: Jessica Moody, Library Media Specialist, Olympus Jr. High. Starting in 1951 and going up through 2009, this author covers the civil right movement and how certain events throughout history led to Barack Obama becoming president. A fairly unbiased memoir with a timeline, primary sources, and more. Although the index stinks and the author missed an opportunity to give additional resources for readers to check out, she did a fairly good job of depicting the time period. Because of the content and the extensiveness of the memoir, older readers will mostly be the ones to enjoy this over younger students. MS, HS. OPTIONAL. Reviewer: Jessica Moody, Library Media Specialist, Olympus Jr. High.